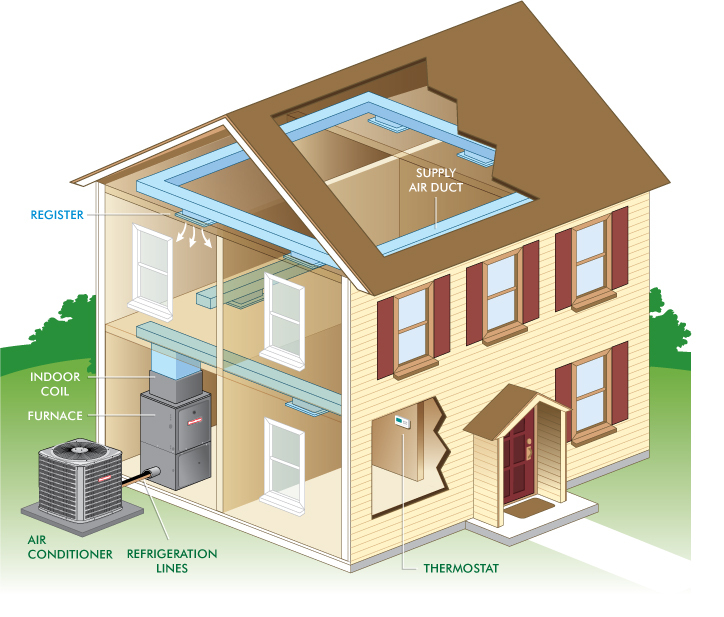 Cleaner air – As your central air conditioning system draws air out of various rooms in the house through return air ducts, the air is pulled through an air filter, which removes airborne particles such as dust and lint. Sophisticated filters may remove microscopic pollutants, as well. The filtered air is then routed to air supply duct work that carries it back to rooms.